Google+ focuses on sharing within subsets with your groups – called Circles. Circles are groups of people – family, friends, co-workers etc. You can also view, manage and edit multimedia in special section – the photo tab. Variable options are possible – share, tag, edit (Instagram-like photo effects) and set privacy options. Another feature of G+ is Hangouts. It’s a group chat feature which allows you to start a chat with chosen Circle in a convenient way. Several studies confirm higher click-through rates (CTRS) for search results with authorship images – and for sure those results with pictures and author’s name, draw more attention. Also your ranking improves if you have a lot of followers on G+. This is because G+ is linked to search ranking. The more followers you have the better! Google+ posts can be found in search results alongside articles. Frequent posting provides the social proof that customers often seek. Also, people can see recommendations from their connections from Circles. It may be the moment when lead converts into a customer. You already know that valuable traffic is the key. With Google+ there is a possibility to increase it. Look for popular conversation and join it. 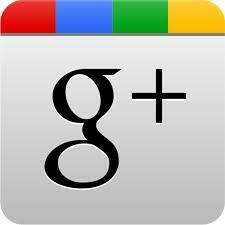 Take time to engage on Google+ by commenting on other people’s posts. Your comment on widely-read thread and maybe +1 are an excellent way to expose yourself and bring people to your profile. From there there is a short way to your website. To squeeze even more – create a page for your business and add clickable links. Google+ allows you to add a business page and connect with your fans/clients/co-workers etc. Put your clickable links into your Intro section. This will help you to guide leads and give them what they want – content. You can find several case studies online, Google presented nice ones. You can find it here: Lateroom and here: Cadbury . But I would like to show you the Fitness & Nutrition case. Brad Lowry started with filling out profile on G+ and building circles around people involved in healthcare, nutrition and fitness. After gaining some influential contributors he created Fitness & Nutrition Community (Fitness & Nutrition Community). “My vision was a community where the novice and beginner could interact with fitness and nutritional professionals” he said. He applied some best practices: no spam and no direct marketing of personal products or services. Using his personal profile he engages with each new member with posting a hello, welcome and +1. Later he identified experts in their field and enthusiasts of specific topics within the fitness and nutrition platform. Then he created categories that appealed to them, which were supposed to encourage them to share content. The final step was asking those same contributors for help in answering members questions. If a member asked a community question, Larry would comment on their post with suggestion to reach out to “some expert” (specific name here) for help. This proved two things: Larry sent clear message that Fitness and Nutrition was listening to its followers and he assured experts that their opinion is valued and important. It’s a win-win situation – experts gained a loyal follower and Larry gained a faithful contributor for community. Now Fitness and Nutrition has 3 moderators to help with spam, F&N ranks higher on Google and community has 5 373 members. That’s a fantastic example how to build and engage a community and get as a result more valuable traffic and improved SEO. In ColibriTool you will get tailored tips what and where to post on Google+. Colibri monitors your social media channels and allows you to control them in one place. It’s a great source of inbound marketing best practices and ways to improve your marketing strategy.